The skirl of the bagpipes rings all over the world. The aim of this project is to present and to unite the Pipers Of The World with their different style of music. The country which is most connected with this inimitable in- strument is Scotland. This is where we start our journey with Vol. 1 of Pipers Of The World. If you ever experienced the rough and untouched nature of the Highlands cannot abscond from its magic. On the one hand a legendary country full of history, mysterious and dark, on the other hand a land of in- herent natural beauty affected by the hospitality of its people. 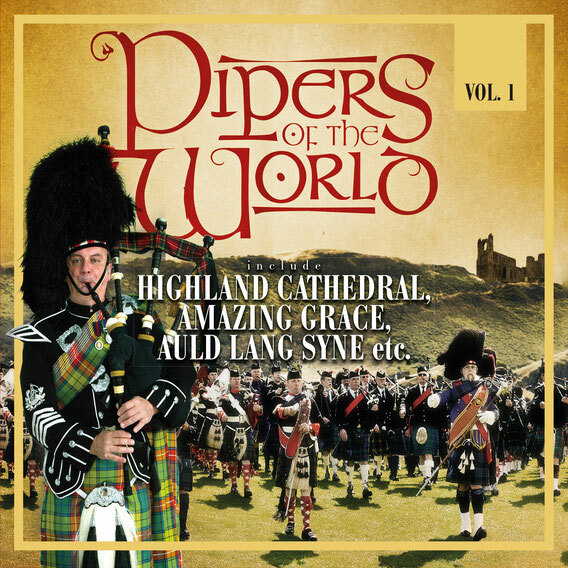 Immerse yourself into Scottish History with the melodies played by the Pipers of the World. Feel the Scottish soul and let the melodies wing you away into the Highlands with its moors, rivers and lochs, its lonesome glens and the ruins of the castles which tell us endless stories. Some of these stories are told by Pipers Of The World.